mostly from UK3ABF, UK3ACL, and other club stations in Moscow. In 1998 he received AD6GY and WA6O in 1999. He's a member of Northern California Contest Club, and 40m captain in N6RO contest team. Over the years he participated in many CW contests from DX locations - with "Team Vertical" from Jamaica, Fiji, Bahamas as 6Y2A, 6Y8A, 6Y9A, 3D2XA, 3D2OK, C6AAW. He also operated from HC8N, Galapagos. Since 2003 he held a CQWW CW NA record in Single Op/Single Band (15)/Low power category. His non-contesting DX-trips include: CE0Y/WA6O, FO0SHA, ZK1WAL. 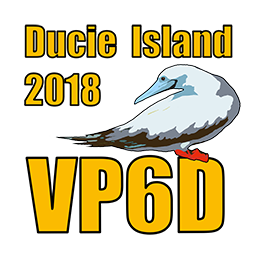 Most recently he was part of the Clipperton 2013, VK9MT Mellish Reef 2014 and TX3X Chesterfield Island DX-pedition team. In his professional life, he is a software engineer with Ph.D. in computer science. He works for a technology start-up in California. Mike is married and has two sons.